It occurred to me Freemasonry has accomplished the establishment of a basic foundation, upon which the Western World has built the edifice of civilized community. One example of these Masonic contributions was celebrated during the grand event, which took place in Monterey California back in July of 1996. The event was a grand gathering of California Freemasons in celebration of the Sesquicentennial Anniversary of the landing of the U.S. Navy under the command of Commodore John Sloat at Monterey in the year 1846. That august gathering of California Freemasons under the leadership of Grand Master Charles Alexander was in recognition of the high Masonic principles exercised by Brother Sloat during his 1846 adventure. I shall always be humbled by the memory of his genteel but firm actions during the accomplishment of his military duties of occupation. The 1846 event opened a new “West Coast Front” of the Mexican American War, which was then destined to continue to its official conclusion in 1848. If we were returned in time to the California of 1846, we would find the tiny village of Monterey a sleepy coastal town, where the afternoon siesta was the accepted ritual of the social day. The dusty unpaved streets were no more than very few, and while this was the Mexican Capitol of Alta California, by today’s standards the title village would be nothing less than an exaggeration. Then just nine months later the situation had advanced to a point of urgency causing President Polk in his famous address to Congress on December 2nd to eloquently express his interpretation of the 1823 Monroe Doctrine, when he gave birth to his now famous 1845 Manifest Destiny. Therein he declared, “…no further European colony or dominion shall without our consent be planted or established on any part of the North American Continent.” It was in fact his direct intent to target those Western Territories west of the Rocky Mountains. So it was established that this young nation put on notice all nations, but especially those European nations of threat. Thus came Monterey, (At the time Mexico’s principal seat of government in Alta California, as well as its premier economic port, and trade capital) onto the center stage of history to serve as a cornerstone of acquisition, and the preview of Californian settlement. During this period of time Masonry lived and breathed the clean, clear air of service to our young, and as yet fledgling republic. Its halls of administration sponsored the atmosphere of deliberation during working hours, while critically important support was found through brotherly love at an evening lodge event. The Masonic lodge of the day was an important civic institution, and fathered numerous public servants. To mention but a few besides President Polk, we must include such great patriots as Brother James Buchanan who served as President Polk’s Secretary of State from 1845 to 1849 and as the 15th President in his own right from 1857 to 1861. Other brethren were busy serving their country as members of the Supreme Court of the day. These included Joseph Story, 1812 to 1845, John McLean, 1830 to 1861, Henry Baldwin, 1830 to 1844, John Catron, 1837 to 1865, and Samuel Nelson, 1845 to 1872. Rear Admiral John Drake Sloat of the United States Navy was born in 1781 at Sloatburg, New York, and died on Staten Island, New York, in 1867. He was a product of solid Yankee stock and traditions, developed and nurtured in the family for over 3 centuries. As early as the days of the Thirty Years War in Europe (1618 to 1648) we find a young man by the name of Jan Pietersen Slot, the son of a Pieter Slot, leaving the Danish/German state of Holstine for settlement in the relatively peaceful area called Holland. It is even more interesting when we discover that he had practiced in the building trades in Holland. This being the case, it would have been impossible for him to have avoided participation in the ancient forms and rituals made use of in the operative builder’s guilds of the day. In fact this becomes even more evident when we learn that the word Danish means Castle, and is indicative of his trade as a builder. It was strict custom for a son to follow his father in the trades, and for this reason people were most often identified by their occupations. Thus a person coming from a family of builders assumed the last name “Slot.” The later spelling “Sloat” derived phonetically. He later met and married a young woman by the name of Annetke Jans by whom he sired two sons, named Pieter Jansen Slot and Jan Jansen Slot. Records show that in 1650 Jan, and his sons immigrated to the new world and settled in New Amsterdam, (Present day New York City.) It should be noted that there is no further mention of his wife; she probably died in Holland before they left. From their arrival in the new world in 1650 to the birth of our Brother the Commodore, the Sloat family had left their mark in the land. There were places like Pieter Slot’s “Broken Knife” farm known today as “Gramercy Park,” which can be found today in the bowery of New York. Other locations include “Sloat’s Lane” now renamed “Exchange Place” and found at the lower end of Mannaty’s (Manatee’s) Island, and the famous Sloat’s Inn of Sloatsburg New York, site of the birth of Brother Sloat and the location of local towns people meetings for the purpose of choosing their Congressional delegates during the revolutionary war. Brother Sloat’s parents were John and Ruth Sloat, and on the night of April 4, 1781 John was out of the house on some business or other. These were days of war in the area, and sentries were posted around the Sloatsburg Inn. When returning from his business, he failed to give the correct password, and was shot dead on the doorstep of his own house by a sentry. Shortly thereafter on July 26, 1781, Ruth gave birth to their son John Drake Sloat. Cold fate continuing, she died shortly after the birth leaving the baby to be raised by her parents. Being raised by his Grandfather Drake, Brother Sloat was blessed by the wonderful family tales and adventures of his indirect ancestor, the Great English Navigator Sir Francis Drake. These jewels of history enticed the youngster toward the development of a palate for travel and enterprise with adventure as a final topping. Then when of age, and being the son of a Revolutionary War Veteran, he was granted a Midshipman’s Warrant on May 12th, 1800. This interestingly in the same year of his Masonic Anniversary when some say he received his Masonic degrees in St. Andrews Lodge at Boston, while others claim they were accomplished in St. Nicholas Lodge No. 3, in the State of New York. However, we do know that during the War of 1812, Sloat served on the Frigate United States at the time it captured the British Frigate Macedonan, for which he was honored by Congress. He also saw active service against West Indian pirates from 1818 to 1823. As mentioned above, it was as Commander of all United States war vessels in the Pacific, that he had the distinction of raising the American Flag at Monterey, July 7, 1846, and taking possession of California. Commodore Sloat, his fleet anchored off Mazatlan Mexico in 1846, observed that the English Admiral Seymour showed an unusual curiosity in the activities of his fleet. Then, on receiving information that hostilities had begun between Mexico and the United States, by a clever ruse he evaded the vigilance of the British Admiral, set sail on a Northerly course and shortly thereafter entered Monterey Bay on the 7th of July, thereby taking possession of California in the name of the United States before the British Fleet could react. Less than two weeks later, the British Fleet arrived at Monterey. Had they arrived before Sloat, they would have laid claim to the same territory, as did the good Commodore. The territory in question was vast by any measure, and included the territory of California, Utah, Arizona, Nevada, New Mexico, and Texas, and parts of Wyoming, Colorado, Kansas, and Oklahoma. This acquisition was second in size only to the Louisiana Purchase. The British already claimed Washington, and Oregon. Just imagine what might have taken place if the landing had been delayed. Either we in this area would be British subjects, or as is more likely, the United States would have become involved in a war with Britain at a time when we were already fighting Mexico. In fact The British did cede their Northern territories to us shortly thereafter. There can be little doubt that their giving up Washington and Oregon was a direct result of the Sloat landing. Sloat’s position was one of great responsibility. He discharged the duty of taking possession of a territory peopled by friendly natives, who had no quarrel with the United States, and so conducted his activities as to command the admiration and respect of all. Shortly thereafter, on account of his health, Sloat surrendered his command to Commodore Stockton and returned east. A monument at the Presidio of Monterey was dedicated to his memory by the Grand Lodge of California Free and Accepted Masons on July 14, 1910. The next morning, July 7th, Sloat sent Price and a contingent of 250 fully armed officers, seamen, and marines ashore, and at 10:20 am Rodman Price read the proclamation announcing that henceforward The California Territories would be a portion of the United States, Ten minutes later the American Flag was raised before the Customhouse to a chorus of “Cheers afloat and ashore$rdquo; and a salute of 21-guns from the Savannah and the Cyane. Price was made Alcalde, thus becoming the first American to exercise the judicial function in California under the occupation. 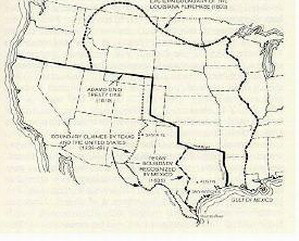 Later he carried dispatches to President Polk, who asked him to draw up a report on California. Price was then sent back to California as Special Naval Agent. Later in 1849, at the age of thirty, Price served as a member of the San Francisco Ayuntamiento (town council). He was also elected a delegate to the State Constitutional Convention at Monterey from the San Francisco district. From this, he apparently developed a yen for politics, but his California political ambitions were cut short by his defeat in running for Congress during the 1849 elections. In 1850, however, he returned to his native state, New Jersey, and lost no time in entering the political arena. He served in the United States Congress from 1851 to 1853, and was elected Governor of that state from 1854 to 1857, and in 1861 he was a delegate to the Peace Congress. Price was at all times a staunch friend of public education, and was instrumental in the establishment of a state normal school in New Jersey, and also was very much interested in the development of a state military school in that state. The early beginnings of the Masonic life of Price are clothed in uncertainty. It is not known where he became a Mason, though on December 13, 1853, he affiliated with Union Lodge No. 11 of Orange, New Jersey. Levi Stowel, while trying to organize California Lodge No. 1, wrote of holding a preliminary meeting in Price’s house. Sherman says that Price’s name appears as a member of a committee soliciting subscriptions to a joint stock company for the purpose of erecting in San Francisco a building to be occupied as a Masonic Lodge room. This notice, on August 23, 1849, was the first Masonic notice printed in California. Masonry has always taught of duty, honor and country, of import of service, and of brotherly love among mankind. So also was it with Brother Sloat. On the morning of his most historic action, he still remained true to his Masonic obligations. His orders of the day steadfastly spoke of the quiet dignity of mankind, of humility in leadership and of a conqueror’s duty, and service to those of lesser fortune. And so on these great and honorable words, Brother Sloat took possession of this new land for his country, and doing so with honor stepped firmly into the pages of history, and the hopes of our hearts forever. Today of course we are well aware of the consequences of that significant event. Without question it has influenced changes throughout the world even until this very day. The above enumerated dates and events have intricately woven together to produce the fascinating textured fabric of both California and Masonic History. It was at High Noon on January 10, 1847 when General John Charles Fremont accepted the surrender of the Armed Forces of Mexico from Andres Pico at a small Cahuenga Pass ranch house. The Mexican American War was over as far as the people living in the area, which is today called, California was concerned. However in other areas the fighting raged on, and the outcome would not be determined for more than a year. When at last the war was finally brought to a formal close, it happened in a small, almost totally unknown, remote Mexican village named Villa La Guadalupe Hidalgo. The treaty which was signed there, and which would henceforth become world famous, was known as “The Treaty of Guadalupe Hidalgo.” Its chief American negotiator was one Nicholas P. Trist, and the date and time of the event was High Noon on February 2, 1848. These historical facts are even more interesting when we notice that both the Cahuenga and the Hidalgo events are said to have taken place at High Noon, and that in both cases the Americans in charge are said to have been Freemasons. Nickolas P. Trist was the chief negotiator of that famous treaty, and was assigned there as a direct representative of President James K. Polk, himself a prominent Freemason of his day. Interestingly, when our California Grand Lodge was formed two years later, in 1850, its Masonic jurisdiction encompassed most of “Alta California,” and two years thereafter, the Pacific Islands of Hawaii as well. Copyright 2015. Dennistoun Lodge. All Rights Reserved. All third party and subsidiary copyrights and trademarks are those of their respective owners.